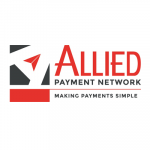 Fort Wayne, IN (January 10, 2018) – Fort Wayne-based Allied Payment Network, a provider of payment solutions to financial institutions, announced today that it has received a multi-million dollar investment from Plymouth Growth Partners of Ann Arbor, Michigan. Allied gained reputation in the industry for being the first to market with PicturePay®, a photo bill pay product that allows users to take a picture of a bill or invoice to make a payment from their mobile phone. 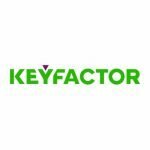 The company has since developed a full line of bill pay products which are offered through banks and credit unions nationwide. Founded in 2010, Allied has become a leading innovative alternative in the financial technology business. The company has grown consistently since inception and processed more than $1 billion in payments last year. “The banking industry is hungry for advancements that will allow financial institutions to provide a sleeker, faster bill management experience to their customers. Fueled by Plymouth’s investment, Allied is primely positioned to deliver,” said Kelli Schultz, President of Allied. Allied Payment Network is an industry-leading provider of emerging bill pay technologies to financial institutions. With its award-winning solution, PicturePay®, Allied pioneered the first mobile photo bill pay application for smartphones and has brought the same level of innovation to its full suite of online and mobile bill pay products, including solutions for Internet bill pay, person-to-person payments, small business payments, and online loan payments, among others. Allied’s goal is to make the bill paying process easier and more convenient for consumers, and more efficient and cost effective for the financial institutions who serve them. For more information, visit www.AlliedPayment.com. Plymouth Growth Partners invests in growth stage businesses throughout the Great Lakes region. With over 100 years of combined investing experience, Plymouth takes a flexible approach to partnering with management teams, helping to drive growth, build value and realize full potential. Plymouth focuses on B2B product and services companies that have scalable technology and proven growth. Based in Ann Arbor, Michigan, Plymouth Growth Partners has over $150 million under management and is actively investing out of its fourth fund. For more information on Plymouth Growth Partners and its investments, please visit www.plymouthgp.com.